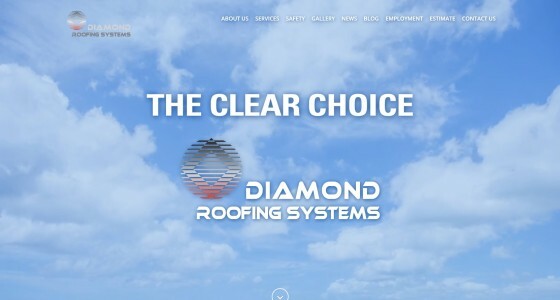 Diamond Roofing Systems is a full-service roofing company with locations in Warren and Akron, Ohio that provides services for both commercial and residential roofs to customers in North Central and Northeast Ohio and Western Pennsylvania. Farris Marketing created an all-new website for Diamond that includes information about their services and their safety protocols, an extensive photo gallery of their projects, a news and blog section, and a project estimate form. For their Employment page, Farris also produced a video that features Diamond Roofing employees talking about the advantages of working for the company.